Rootandblossom: Unwrapped! Can You Picture It?! Unwrapped! Can You Picture It?! As soon as we got back from Bellingham the paper began to come off! With ever piece removed we became more excited and giddy! Remember all the paint dust? It cleaned up but what a pain! A lot of dusting, wiping, and laundering. 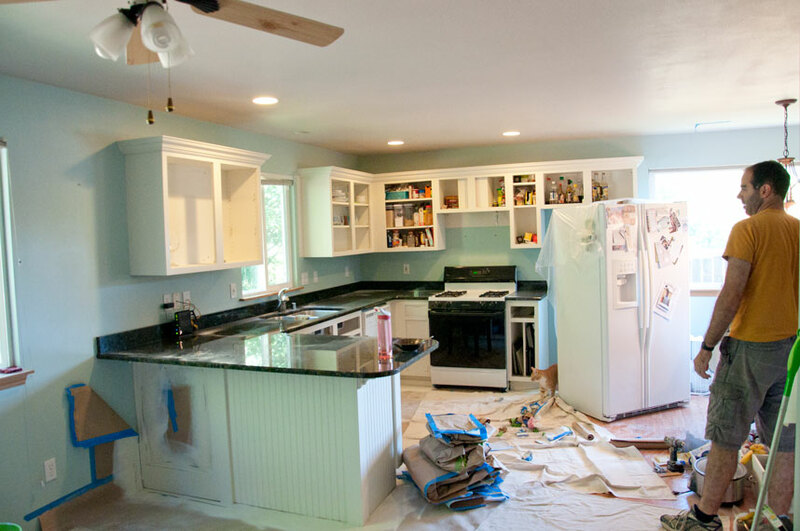 I cannot believe this is our kitchen! Only one leak of paint where we didn't want it to be. Chris did such a great job with the tapping, probably the most important part of the whole process. 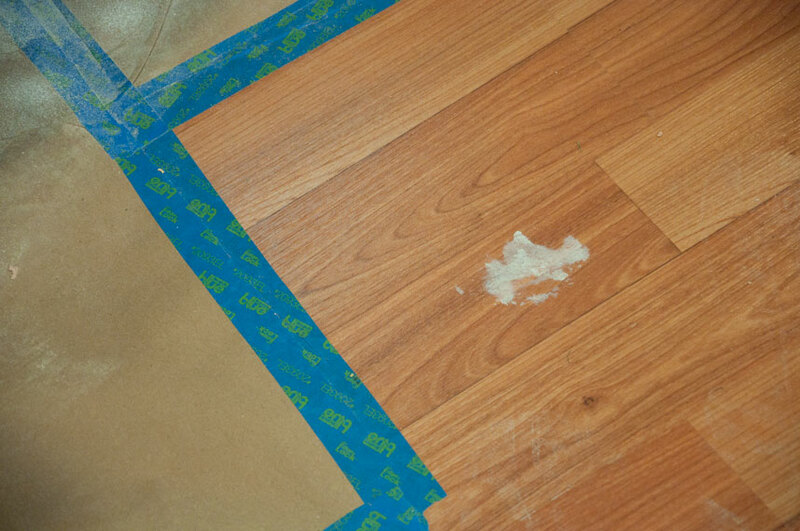 Fortunately with just a little bit of lacquer thinner the paint come up off the laminate quite easily. Looking so good! 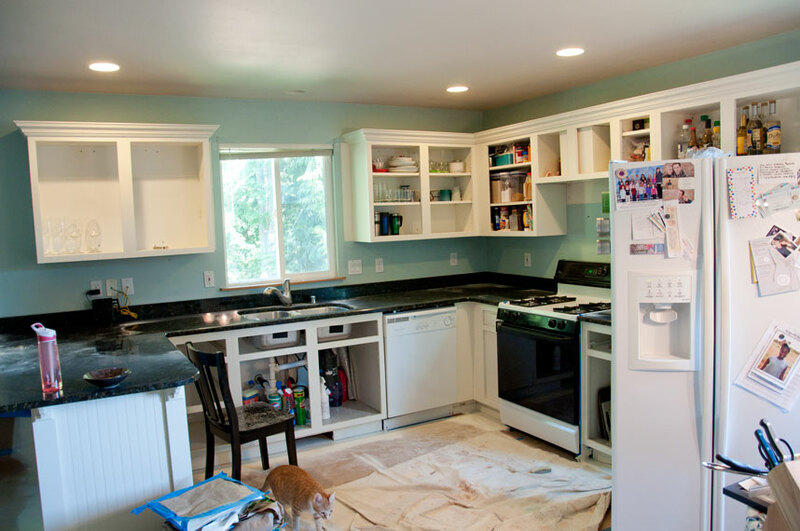 What a huge difference the painted cabinetry makes.